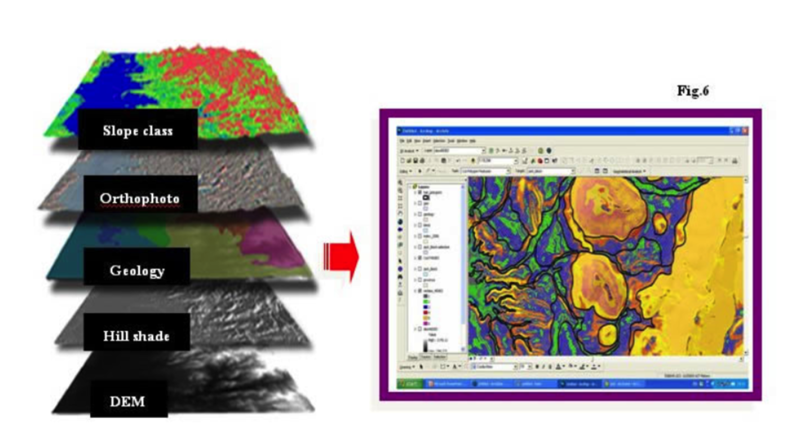 What is the Canadian Digital Soil Mapping Working Group? Our intent is to make the working group open to all those with an interest in this area of soil science and to capture a wide range of work from all regions and environments in Canada. If you are interested in joining the working group, please contact Scott Smith. Digital Soil Mapping also referred to as predictive soil mapping is the computer-assisted production of digital maps of soil types and soil properties. Soil mapping, in general, involves the creation and population of spatial soil information by the use of field and laboratory observational methods coupled with spatial and non-spatial soil inference systems. Digital soil maps are linked to an underlying digital elevation model whereby grid cells of the model are populated with soil attributes. The international WORKING GROUP ON DIGITAL SOIL MAPPING (WG-DSM) defines digital soil mapping as "the creation and the population of geographically referenced soil databases generated at a given resolution by using field and laboratory observation methods coupled with environmental data through quantitative relationships." The Digital Soil Mapping Working Group is affiliated with the Pedology subcommittee of the Canadian Society of Soil Science.